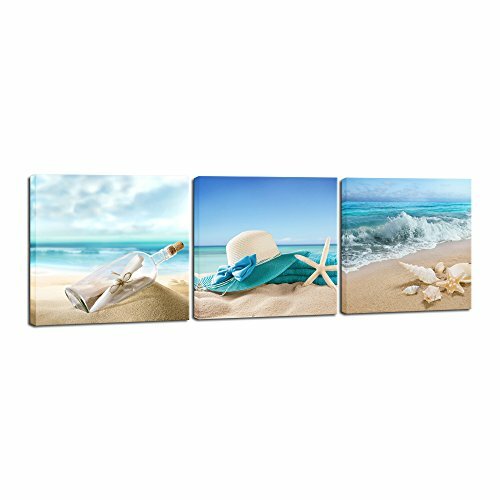 3 piece high definition giclee modern blue romance ocean sea beach canvas paintings wall art prints is gallery wrapped ready to hang for home decorations wall decor. Each panel has a black hook already mounted on the wooden bar ready to hang out of box. Modern decorative artwork pictures photo printed on high quality canvas.A perfect Christmas and New Year gifts for your relatives and friends.